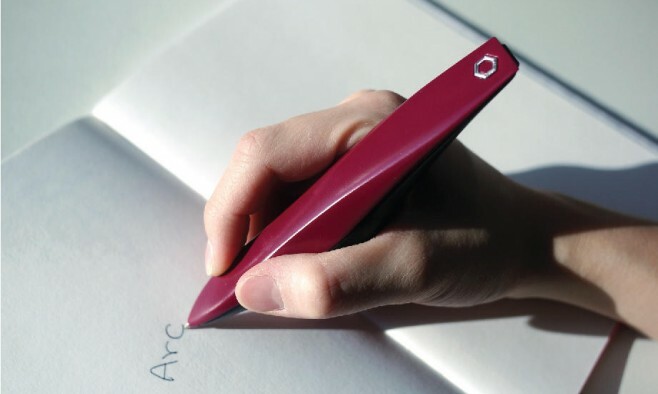 The pen – known as the ‘ARC’ and claimed to be the first therapeutic vibrating pen – has an ergonomic wedge design for comfort and works by using high-frequency motors to stimulate key hand muscles. The design team, Dopa Solutions, is made up of four students from the UK’s Imperial College and Royal College of Art. They originally set out to create a vibrating pen that showed non-patients what it was like to write with Parkinson’s. In the early stages of testing, however, they discovered that the vibrations in fact enabled larger handwriting, helping to counter the effects of micrographia – and began developing the ARC as a writing device for people with Parkinson’s. In a trial of 14 people with micrographia, 86% reported an improvement with the ARC pen. “I started with very big writing for some reason that I can’t explain, it just got bigger,” said one of the trial participants.